Winter Nights can be long, pull out a deck of cards and enjoy a fun game. 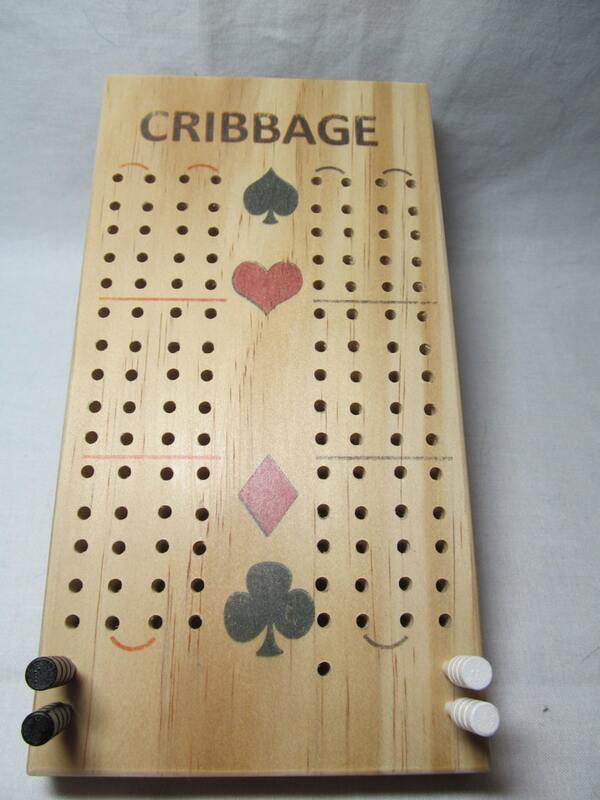 Our wooden Compact Cribbage Boards make sure you will always have a board on hand to have a game. They feature a 2 player 60 hole track. Printed on pine and comes with 2 Red and 2 Black pegs. In most cases these games are ready to ship immediately, we keep a stock of them on hand. Multiple orders or custom orders may take up to a week to process and then ship. We do love to make something custom if we can. If you live in the Loudoun County VA area we can arrange pick up or delivery, just contact us before ordering. All boards will be shipped USPS. Contact us for shipping on Multiple items.